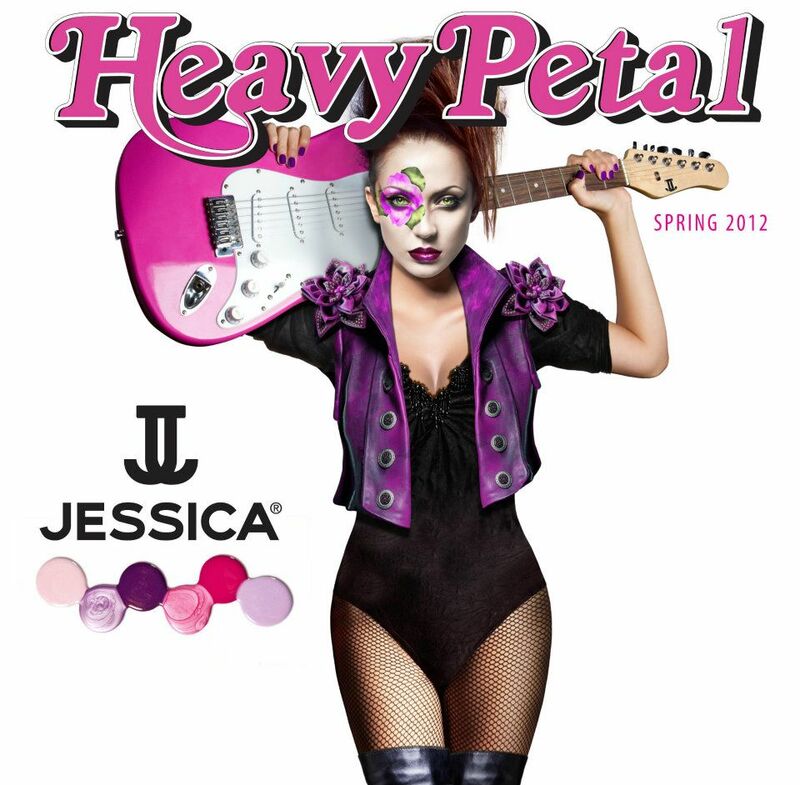 Jessica Cosmetics recently shared their upcoming Spring 2012 Collection called Heavy Petal on their Facebook page, and below is a look at what they shared. My first impression was that I was unimpressed with the shades, lots of pinks and purples. But once I started looking closer at the bottle pictures that you can view on their page, and the names of the polishes, I became more interested. As an avid gardener, I love the flower names! Witchy Wisteria (the darkest purple shade) looks to be laced with delicate gold shimmer, and Rolling Rose looks much more delicate in their bottle picture, perhaps a soft milky pink tone. I've mentioned many times that I think Jessica has a superior formula, so I would love to hear that Rolling Rose is streak-free and opaque in 2 coats. I'm looking forward to seeing swatches of this collection in the coming weeks. L-R: Born 2 Pansy, Witchy Wisteria, Dazed Dahlia, Hotter Than Hibiscus, Rolling Rose, Geranium Gypsy. Spring fashion is all about incorporating mood and emotion to reflect personal style. Introducing HEAVY PETAL, a style melody of 6 JESSICA® Custom Colours; featuring amplified tones and textures, HEAVY PETAL is a combination of drama and spirit that is sure to steal the spotlight! Whether you are a seasoned fashionista or a newbie, HEAVY PETAL will transform you into a free-spirited ROCKinista! Reminiscent of spring flowers in bloom, delicate yet feisty hues flourish in shades of pink and purple that will lift spirits and ignite sparks from manicured fingertips. So put the pedal to the metal this spring and join us on tour with HEAVY PETAL, because you were BORN TO ROCK! They look pretty but nothing different. Ria~I like the ad, but I do think the polish swatches should stand out more somehow. You can buy their polishes in the US on their site, and there are some beauty product sites that carry them too. Excellent formula! When does this collection come out? Geranium Gypsy looks like a dupe for Nars Diamond Life. *le Sigh* I want. Michelle~there is no specific date noted on the press release. I normally just keep checking their site under "what's new", because it should be available any day now.